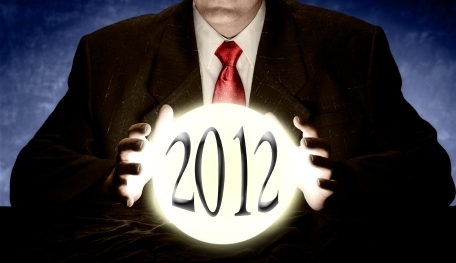 As we start 2012, we can expect to see a continuance of data breaches and increasing cyber attacks. Taking a look back at 2011, we have learned that no system is ever 100% secure no matter the name or the size of an organization. It’s important for businesses and organizations to know what they need to be prepared for and to take steps to help minimize the threats that do not appear to be going away. Looking ahead, it appears that in 2012 we will see an increase of heightened and very sophisticated threats than what was seen in 2011. We can recall 2011 as the year the hackers and the hacktivists got started on the data breach and gained a great amount of attention. With all of the digital information and big data that is being stored, it should come as no surprise that data breaches are not going away in 2012 as they are only going to get bigger. I expect that we will also see more serious hacktivists attacks. It seems that the hacktivist is no longer hacking organizations just for the fun of it. They are attacking for specific causes and I believe that hacktivists are going to be a very serious threat in 2012 and organizations must be prepared. In terms of a trend in the areas of privacy and information security, I have noticed a sea change in both areas, leading to more need for analysis of insurance policies to cover these risks. When considering privacy risks, there has been an expansion of risks and potential liability for privacy violations, with the Pineda v. Williams Sonoma decision serving as one example. This year also has been called the year of the data breach, and companies are taking a hard look at how their insurance might and does cover such claims. These risks are being considered much more closely by companies, along with a careful analysis of how their insurance policies might cover. Robert Fletcher, founder and CEO of Intellectual Property Insurance Services Corporation, as to how Changes in America Invents Act will drive intellectual property owners to explore specialized intellectual property insurance policies to fund IP litigation.